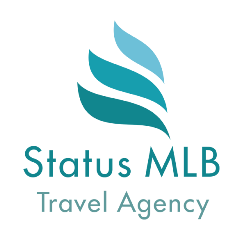 JET SKI SAFARI – statusmlb – Travel in Crete! Photos can be ordered for a small extra charge. Bathing suit, hat, sun cream protection. COME LIVE WITH US AN INCREDIBLE ADVENTURE AT SEA! 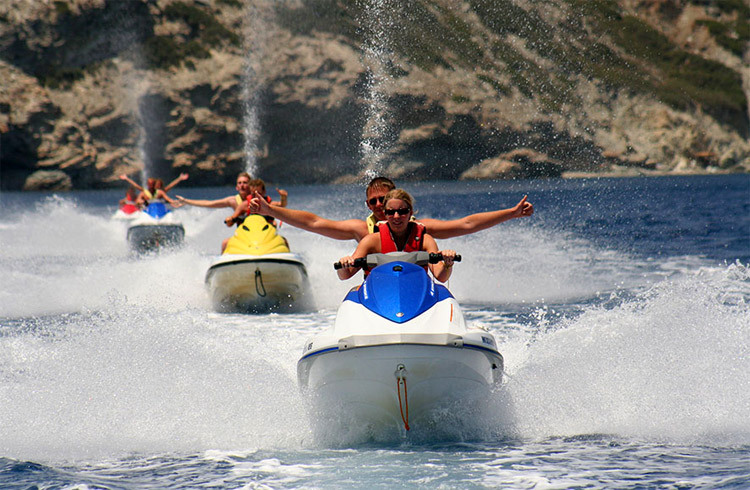 Jet skiing is one of the most exciting water sports activities, suitable for persons of all ages and skill levels. It’s by far the ultimate sea experience. 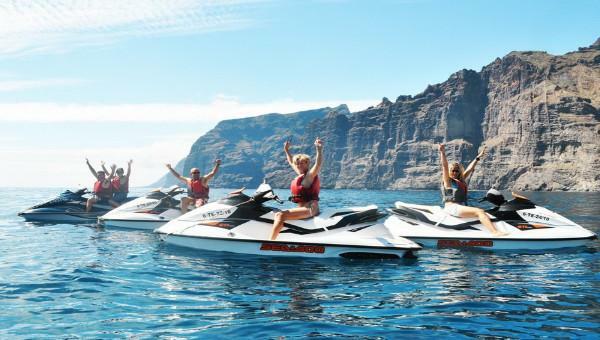 Riding a jet ski is a fun and relaxing way to enjoy the scenery of the beach. It is an ideal choice for friends, couples and families. The Jet Ski Safari lasts 90' (minutes). After getting changed and hearing the safety instructions, the safari starts. The driving time is 45' and the rest 45' is swimming or snorkeling. The Jet Ski Safari usually starts morning (09:30) time or under request. To drive a jet ski you need to be 18 years old. Children under this age are able to come on the safari as a passenger. You don't need to speak fluent English because we are explaining all the safety instructions on a watermarked board. No experience required at all. A detailed orientation will be given to all participants on their watercraft, how to ride it safely and properly, and what to expect while out on tour. 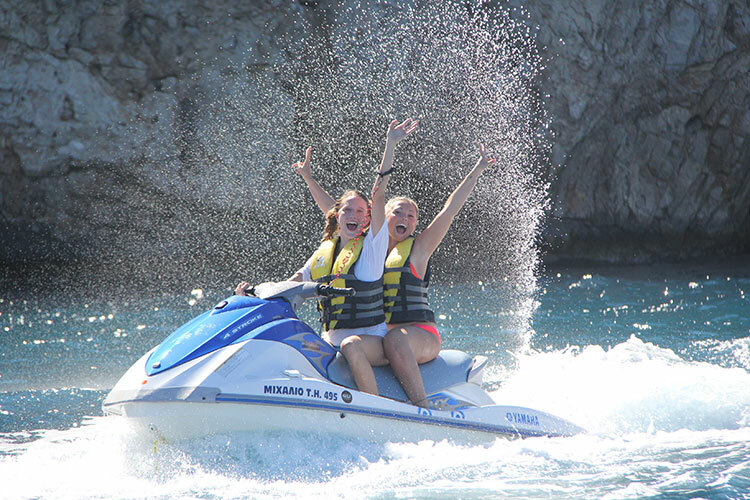 All safety gear and life jacket are provided, and once the orientation is over, it’s time to get on your Jet Ski and Ride! Get ready for an adventure!